Mr. Schamis is Founding Partner and Chairman of the Investment Committee at Atlas Merchant Capital LLC, an investment firm focused on financial services, and is based in New York. Previously, Mr. Schamis worked at J.C. Flowers from 2000 to January 2014, most recently as a Managing Director and member of the Management Committee. Mr. Schamis joined J.C. Flowers at its inception and has had significant experience investing in North America, South America, Europe and Asia. His day-to-day responsibilities included transaction and sourcing execution, portfolio company monitoring and firm operations. Prior to J.C. Flowers, Mr. Schamis worked in the financial institutions investment banking group at Salomon Smith Barney LLC from 1995 to 2000. Mr. Schamis is currently a member of the Board of Directors of South Street Securities Holdings Inc., Praxia Bank (formerly Credicom Consumer Finance S.A.), Panmure Gordon & Co. PLC and Talcott Resolution. He was previously Chairman of the Board of Directors of Fox-Pitt Kelton and Ascensus Retirement Services (formerly Crump Group, Inc.). He also served on the Board of Directors for Somerset Re Ltd., Affirmative Insurance Holdings, Inc., Symetra Financial Corporation and MF Global Ltd. In 2007 and 2008, Investment Dealers' Digest magazine named Mr. Schamis to its "40 Under 40" list. A native of Plainview, New York, Mr. Schamis earned a Bachelor of Arts degree in Economics from Yale University. He served as Co-Chairman of the Class of 1995's Reunion Gift Committees in 2005, 2010 and 2015. 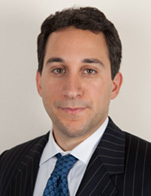 Mr. Schamis is currently a member of the Executive Committee of the board of Yale College Alumni Fund. Mr. Schamis remains active in his community and has coached football and lacrosse at various levels.